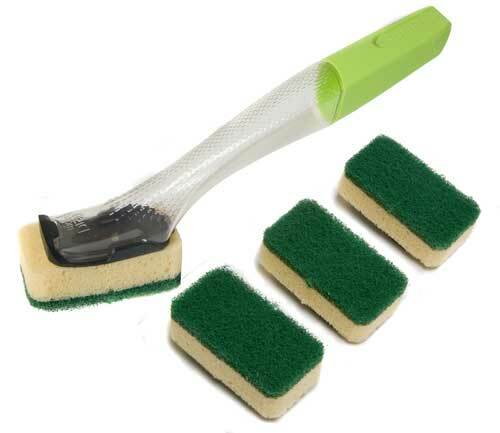 Caraselle Direct – Home Accessories Products Buy cleaning brushs for quicky wash dirty dishes in their kitchen. The Dishmatic Washing Liquid Dispenser makes quick work of dirty dishes! I have something I have to admit to…. I love my dishwasher. What’s not to love? It cleans my dirty dishes, it saves me time and it doesn’t ask for much in return. I would imagine I’m not alone in realising what a brilliant help this appliance is, but not everyone owns a dishwasher. Even if you are a dishwasher owner/lover you can’t avoid washing up completely because however brilliant the dishwasher is it does get full and not everything is dishwasher safe – plus it can’t cope with things like the pans very well. So whichever you are there are some products and tips that you may find useful. No doubt many of you know this one, but to save water and time make sure you wash up glass items first and save the very dirty items until last. Ideally use an enironmentally friendly washing up liquid and remember to take care of your hands!!! All that time spent washing up will start to show in your hands, so make sure you use a good handcream afterwards and use a Washing up Liquid Dispenser such as the Dishmatic Washing Up Liquid Dispenser. You simply fill the handle with your favourite washing up liquid, close the cap & you are ready to clean. 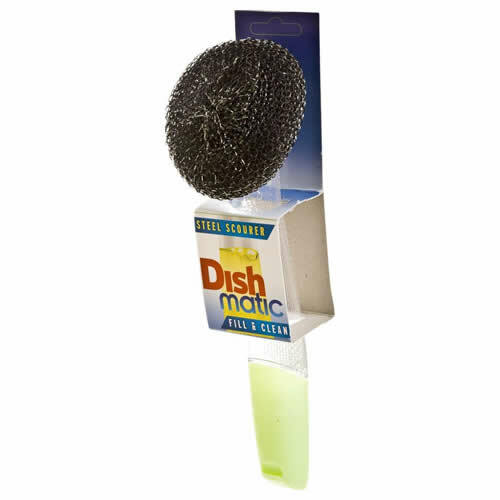 The Dishmatic is ideal because you can get replacement heads which means whether you want non-scratch or extra heavy duty you can get it all in this one dispenser – think of it as a fillable dishwand! 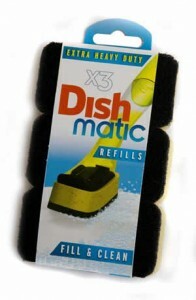 And those pans we were talking about are no challenge when you use the Extra Heavy Duty Refill. Need something even more heavy duty? Need to clean a BBQ, Grill, Hot Plate etc.? You need the Dishmatic Scourer Washing up Liquid Dispenser. With it’s long lasting knitted mesh of high grade stainless steel it will take care of these tougher jobs and save time. Like the idea of the Dishmatic Washing Liquid Dispenser? Then you’ll also like the Bathmatic Bathroom Cleaning Sponge with Extendable Handle to 18″. This Bathroom Easy Reach extends up to 47cm ( 18″ ) to reach almost anywhere in the bathroom and can be used in the folded or extended positions with any suitable bathroom cleaner. 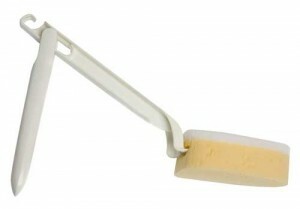 The sponge can be removed for hand held use and has a non-scratch surface for lifting & removing dirt. It features a synthetic chamois surface for drying & polishing without smears and refill sponges are available. Like Dishmatic it’s made in the UK. Great brushes! You have made my life so much easier!